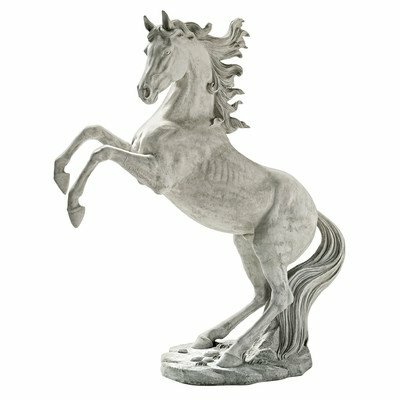 Beautiful Large Horse Statues and Sculptures for Your Home! The horse is probably one of the most beautiful and impressive animals out there! How about gorgeous life-sized horse sculptures? I found some fabulous pieces for sale! *This is one of the largest horse statues for sale here! It is a gorgeous life-sized standing white horse statue for sale in a beautiful antique stone finish… It is over 6 feet tall! I hope you will find the one you were looking for! 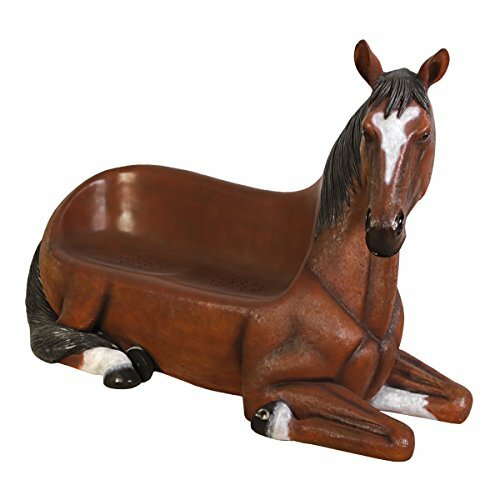 Have you ever seen a realistic horse shaped bench before? 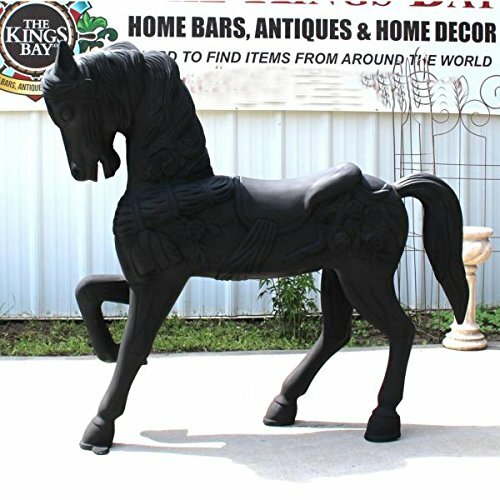 This is probably one of the most unique horse theme furniture pieces I have ever seen in my life! If you also love cool and unique home decor pieces, I say go for it! Imagine all the pictures everyone will want to take sitting on this amazing horse bench! 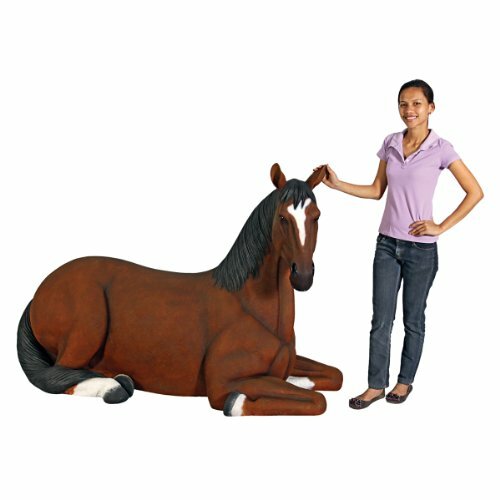 If you are looking for a beautiful and realistic life size resting horse statue for sale, I think you are really going to enjoy this one! He was all hand-painted, paying attention to all the details of a real horse. Where are you going to place him? He is almost 6 feet long! This is probably one of my favorite horse sculptures from this page. It is a gorgeous standing horse statue! It is perfect for a restaurant, hotel or even your own garden. The kids (and adult horse lovers) are gonna love him! Another gorgeous and very impressive life-sized standing horse statue for sale! He is among one of the best looking horse statues so far! Is he the one for you? As you can see he is huge! Another magnificent piece for a horse lover! 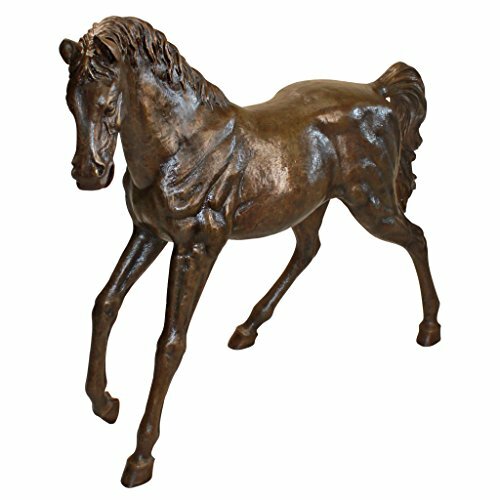 If you are looking for some cool outdoor horse sculptures for sale, I think you are going to love this stunning chocolate color cast bronze horse sculpture for the garden! A great fun piece to have! He stands at almost 4 feet tall. Will make a great unique horse gift idea too! This is an amazing horse table for your home! 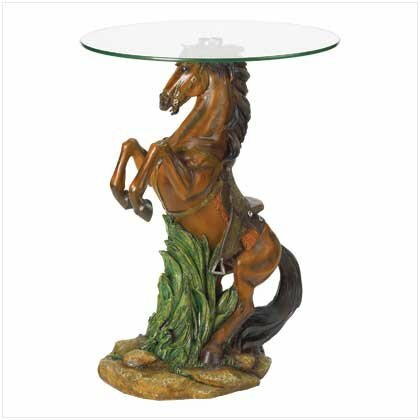 It’s a standing stallion horse sculptural glass topped table for sale! You can almost hear him! Great focal piece for any horse lover’s living-room! *I loved this cool horse accent table so much that I decided to get one for myself. I placed it right next to my sectional couch to serve drinks to my guests and it looks awesome! It is a nice and sturdy piece, the sculpture is very heavy and the colors are gorgeous! We can’t talk about horse sculptures without also including Pegasus! He is the most famous classic Greek mythology winged horse! 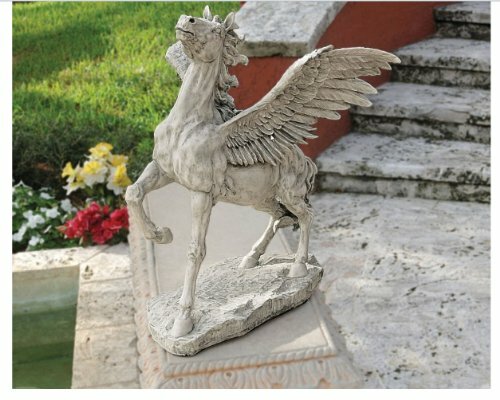 This is a gorgeous and very unique Pegasus sculpture for the garden! 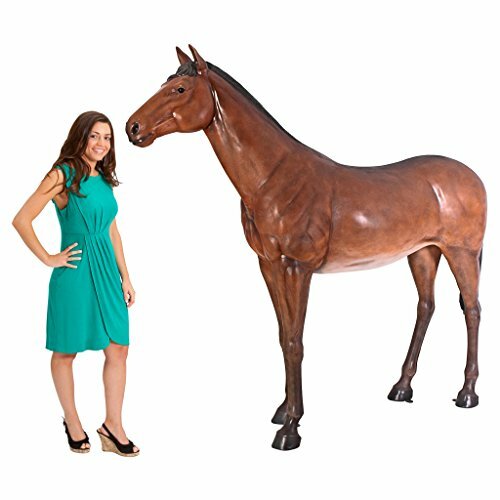 *I hope you were able to choose a beautiful horse sculpture for your home! I am interested in your life size white horse rearing, what is your price? Hi Marie. Just click on the picture. Thank you for visiting!